The HQ Ruler of the Month Kit includes the 6 rulers featured in the 2018 Ruler of the Month Club from January to June - 2"X6" Pillbox, BIG Swiss Cheese, 60-Degree Wedge, 3" Slice Template, 45-Degree Wedge and 2.5" Circle. 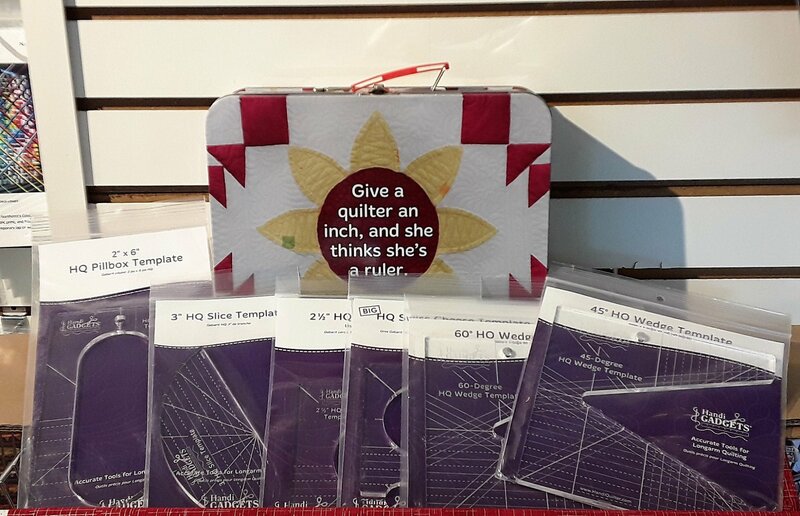 Buy the kit and save $ 30.00 - $ 36.95 per ruler, plus a beautifully decorated lunchbox style tin to store your rulers! Regular individual price per ruler $ 41.95.